Representative Honours: Ireland: 2 Full Caps/1 Goal (1962-1966), 1 Under-23 Cap (1962), 13 Amateur Caps / 3 Goals (1961-1966); Irish League: 8 Caps / 7 Goals (1961-1965). Club Honours: (with Glenavon) Irish Cup Winner 1960/61, Runner-Up 1964/65. Not only did Billy Johnston become the first substitute ever used by Northern Ireland, he also marked his appearance from the bench against Mexico with a goal! Despite attending a rugby-playing school, Johnston excelled at football and signed as an amateur with Glenavon as a teenager. Even when an established Irish League player he continued to take to the rugby field at any opportunity, turning out for King's Scholars while completing his teacher training. With the Lurgan Blues Johnston scored 141 goals in around 200 appearances over six seasons, claimed a host of honours and represented Northern Ireland at Under-23 and Amateur level as well as the Irish League. He also won two Full caps before departing for England in 1966. After qualifying as a teacher Johnston was signed by Oldham Athletic as a possible successor for Jimmy McIlroy. Sadly he suffered a compound fracture of his right ankle in the opening minute of his sixth league outing. He never fully recovered and retired from professional football in October 1968. Johnston returned to the field of play briefly with Coleraine before joining Crusaders as coach in 1970. 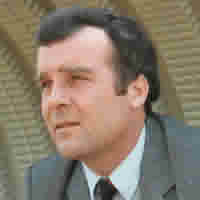 He took the post of manager in 1972 and led the club to unprecedented successes through the mid-70s. 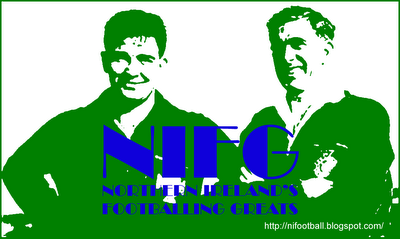 Later he was also boss Ballymena United, Bangor and at Glentoran from 1985 to 1987. Summary: 1(1)/1. Won 1, Drew 0, Lost 1. Summary: 13/3. Won 2, Drew 7, Lost 4.